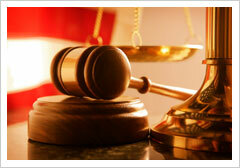 We are honored by the many attorneys, friends, and former clients who refer us new clients. The Carey Law Firm accepts these referrals understanding the obligation that it creates. Specifically, we work hard everyday fighting for our clients’ rights in an ethical and moral manner such that we always seek a just and fair result and in a way that glorifies the legal profession and God. When we accept a client referred by another lawyer, under the rules that guide the Ethical Considerations of the Legal Profession, that lawyer is entitled to a percentage of the total fee. Our clients are always notified, in writing, whenever a referral fee is paid to another lawyer.